ARE YOU A RUNNER? Or, do you know a runner? 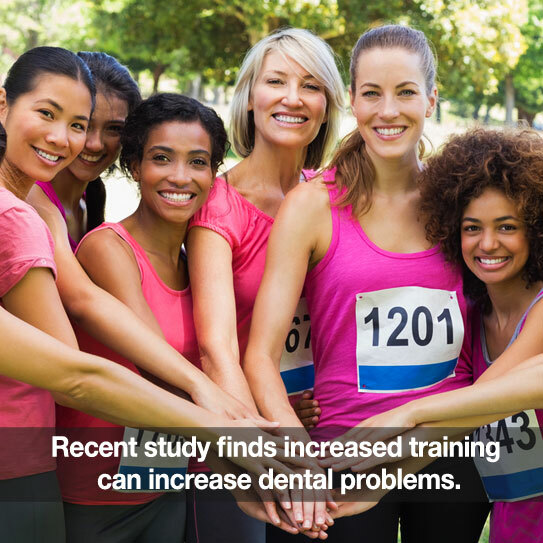 Here’s an important question to ask… “Does your training include specific consideration for your oral health?” Do those two things sound unrelated? There’re not. Read on! The rest of your body may be in tip-top shape. But a recent study published in the Scandinavian Journal Of Medicine & Science In Sports found two very specific oral health problem areas for athletes. Think about the way your mouth feels when you’re racing or on a training run. You’re likely breathing heavily through your mouth. Your mouth becomes dry as a desert. In addition, because there’s higher susceptibility to dehydration (at some level) you don’t recover from dry mouth as quickly as you would otherwise. Dry mouth creates a danger zone for your teeth. These kinds of substances inside a dry mouth, coupled with the likelihood that they will sit on your teeth for long periods of time, creates an unfriendly environment for your healthy smile. This DOES NOT Mean You Should Stop Running! Drink lots of water! Water, not energy drinks are best. If you DO consume energy drinks, rotate them with water. Rinse, rinse, rinse. Drink water BEFORE you get dehydrated, not after. Brush before and after workouts. If you’re consuming gels or other sticky substances, mix in some carrot or celery sticks (scrubber foods). Are you an avid runner? Or maybe you’re just jogging a little bit. Talk to us if you’re starting any kind of new workout plan. As you know, we like to keep up with any health-related changes in your life. It helps us keep your mouth healthy. Let us know! 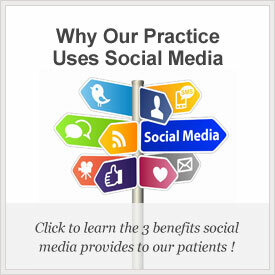 Thanks for being our valued patient and friend.